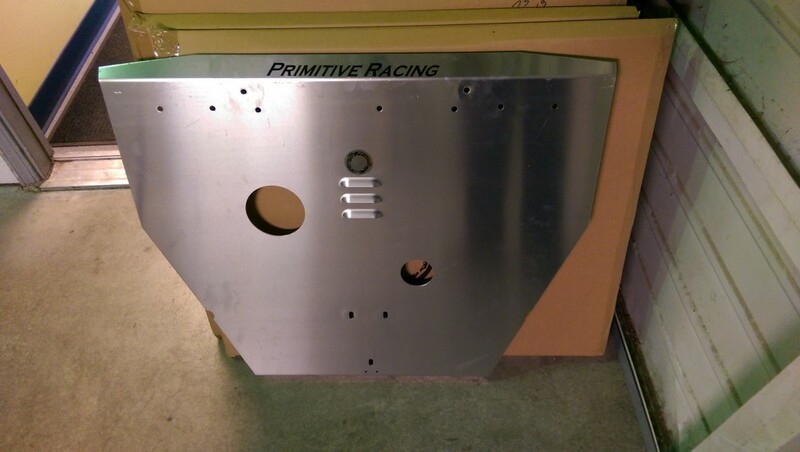 Oil change access holes in Skidplates are a paradox that we encounter continuously at Primitive Racing. 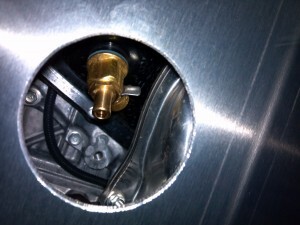 You’re putting large holes directly under the two most vulnerable places of your engine, the main two places the Skidplate is designed to protect. So the decision should be clear, but unfortunately not. One of the most common reason’s people buy Skidplates is because the plastic undertray the cars come with from the factory are gone. The plastic undertray’s are mostly attached with plastic push clips and when the clips get dirt in them they get more and more difficult to remove then they break and don’t get re-installed, eventually the whole plastic undertray can no longer be installed or is hanging so loose that it gets damaged and falls off. Sometimes the tray’s get removed early into the vehicles life because they make performing a simple oil change a real pain. While removing the plate to change your oil seems like an extra step but it’s easier to remove than the plastic undertray and it’s a good idea to be able to inspect the engine for leaks or any other trouble as well as to clean any large debris off the top of the plate. Customers have a variety of reasons that they buy Skidplates and one of them isn’t to make oil changes more difficult, fortunately all of our Skidplates come off and go back on easily. Putting oil holes in the Skidplate not only creates a point of entry for something to damage or possibly puncture your oil pan or filter, they also weaken the whole plate just from removing material from the middle of the plate. We’ve tried a variety of hole sizes but ultimately the sizes that work best are a compromise between ease of access and not losing too much strength. The main drawback with the hole being minimum is size is often the hot oil will splash onto the top of the plate and make a big mess and if you’re like me you’ll want to remove the plate to clean it anyway. I recommend most people to go without oil holes but for some people it’s still something they want and can make good use of. We also offer Fumoto valves which in particular work very well for the cars with the Subaru’s new low friction engines because they have the oil filter on the top of the engine and removing it is splash free. I’ll continue to recommend Skidplates without holes but we’ll let you make the choice, just remember to remove the whole plate periodically.